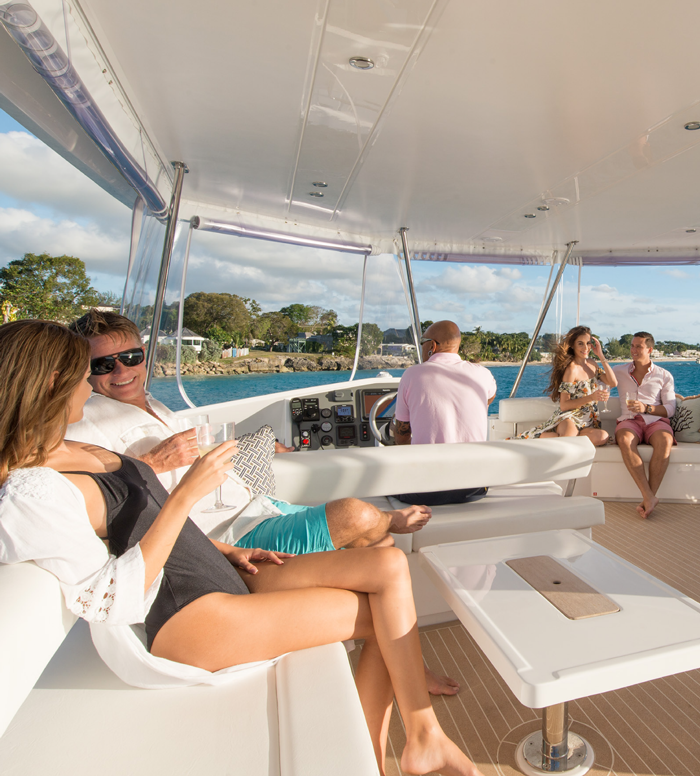 Explore the waters of Barbados aboard our 51 ft Leopard luxury catamaran. Choose between our morning or evening semi-private/ shared cruises or a private cruise experience catering for up to 16 persons. On board our brand new catamaran, enjoy the stunning views of the island’s coastline, swim, snorkel with the turtles, indulge in our amazing cuisine, savour our delightful rum cocktails and simply treat yourself to what promises to be your best day in paradise. A unique cruise experience like only Tide Dancer can provide awaits customers aboard our luxury catamaran. Whether seeking a private experience for you and your closest friends or joining others on one of our specialised shared cruises, we offer an intimate, personalised and pampered experience in a comfortable and serene atmosphere. HERE’S WHAT OUR GUEST ARE SAYING! The Shallow Draught, BB11142, Bridgetown, Barbados.